Tess Mattisson, Director of Marketing for Choice Hotels Europe gives her insights on Choice Hotels marketing and digital transformation. When Tess Mattisson joined Choice Hotels in January 2016, the European division was languishing. With some 7,000 hotels globally, the US is the group’s biggest market and that was the main focus of its marketing spend. Mattisson’s goal was to put ‘heads in beds’ around Europe and figure out how to do that without additional budget. Why did they need to change the way they had done marketing in Europe? The international division had been second in line when it came to investments. However, it had growth potential, whereas the US already had a market share of some 25 percent in the US. And retention, bringing the guest closer to the brand by providing tangible value. The biggest reason why we needed to change was that brands are becoming publishers. Absolut Vodka is not a vodka producer anymore. They’re a media company. Consumers today expect us, as a brand, to actually be a publisher and add value through content and other types of services that are not directly connected to our products. Based on data from a 2015 Google study on micro-moments of travel, which stated that 87 percent of such moments take place on mobile, it made sense to take a ‘mobile first’ approach. The Google study was also seen as important for mapping out the various phases of the customer journey. 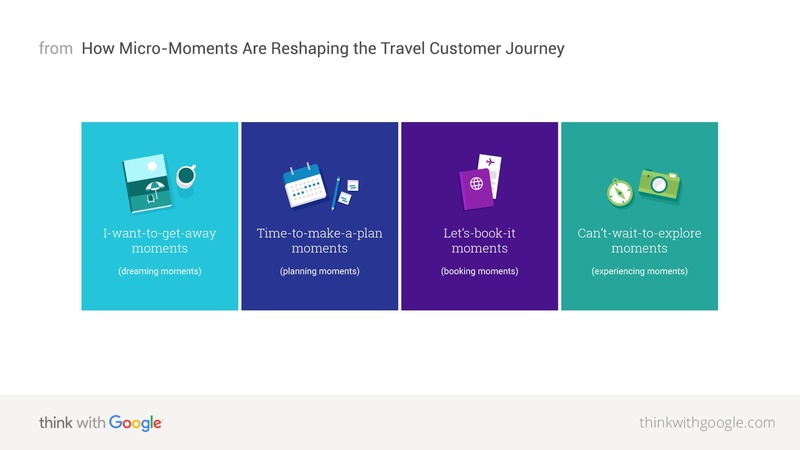 We were strong in the booking phase of the journey but we needed to expand that to where the consumer is actually engaged – in the dreaming, planning, booking and experiencing micro-moments of travel. Content marketing is like dating. You need to add value, you don't talk about yourself on the first date for 40 minutes. People would be so bored, right? You listen, you ask questions, and you focus on the person in front of you. But, as Choice Hotels is a franchisor, it has to consider a range of stakeholders – not just the customers. Mattisson said she had to get 19 stakeholders on board, including the franchisees, some 500 of them. Previously they had argued that Choice should spend big on TV commercials but, given the budget constraints, that avenue was not an option unless they were going to get the occasional commercial spot in the afternoons when their target audience would not be watching anyway. Instead, Mattisson believes the TravelTop6™ site has proved its worth. It has involved developing a research calendar to pinpoint areas of interest and outsourcing writing to freelancers, plus getting some help from influencers such as Kaptain Kenny. We don't produce any content that is not supported by research – insights, data mining, scraping a lot of sites, seeing what are people interested in and (finding out) what they talk about. And where is the gray space, where no one is present. We're not going to compete with TripAdvisor or Lonely Planet. If you’re wondering about the ethics of leveraging an apparently independent third-party site or ‘Trojan horse’ to drive traffic to one hotel group’s booking site, the TravelTop6™ site does state that the site is powered by Choice Hotels Europe and Choice Hotels Canada. (That said you do have to scroll down the page to the bottom). Evolve. People don’t mind change. Invest in building the strategy and involve the stakeholders in every single step. Base your marketing strategy on your consumers’ needs, behavior and device usage. Identify the platforms where your customers are spending their time and tap into those. (Blend in, don’t disrupt).